It is a culture to share the food in Izakaya dining. Some Izakaya places offer the buffet style dining where you pay a fix price per person for all you can eat and drink. Usually such style of eating will be within a few hours or dinner time. The food items in Izakaya dining is normally small items like Edamame, Karaage, Kushiyaki, Sashimi, Agedashi dofu, Yakitori and Tsukemono. You can say that it’s like tapas of mezze, but its more substantial that these. For drinks, they are usually alcoholic drinks like Shochu, Sake, Japanese Beer, Wine and Whiskey. Many of these foods are designed to be shared. As the tradition goes, it’s a down-to-earth place where men and women drink sake and beer after work. Many places now offer more drinks option like cocktails and wines. Interior design of the Izakaya outlets are becoming more stylish then before as well. The popular Akachochin “Red Lantern” which are traditionally displayed outside the dining area are usually displayed. However, you can see these lanterns are also displayed in non-Izakaya Japanese restaurant too. As the time goes, people don’t follow so closely to the traditions anymore. The dining style of Izakaya has been long known to be liken to a taverns or pubs. However, there are some differences. In traditional Japanese context, people sit on tatami mats or low chairs and dine from the tables. Some will prefer to sit by the bar. There are still some who will just be standing while drinking. Customers are often given towel to clean their hands. 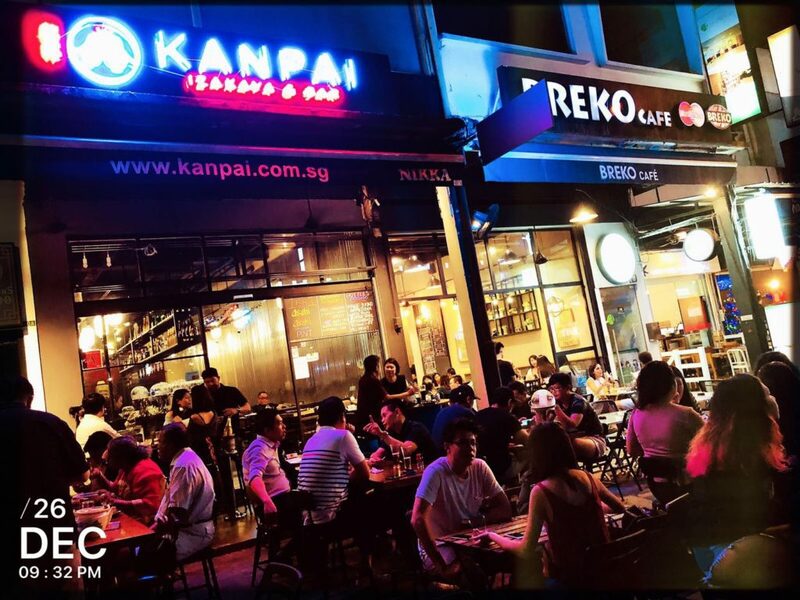 There are many Izakaya places in Singapore although majority are Japanese restaurant. 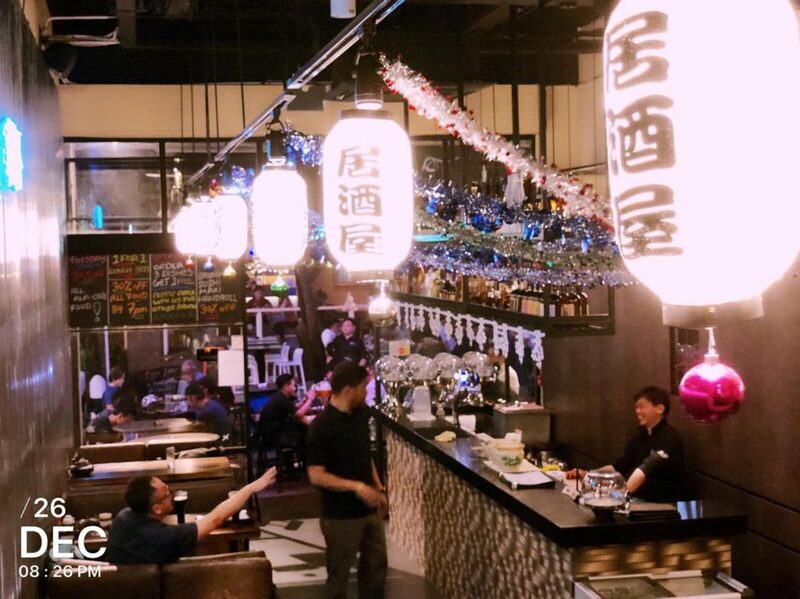 One of the Izakaya that recently just opened is located at Holland Village. It’s a place where lots of people local or expatriates would like to hand out after work. You can see the whole street is closed for cars after 6:30pm and the entire street is like a pub street. People flood the small outlets to enjoy beer, with light food. Kanpai Izakaya & Bar serves great tasting and affordable Izakaya that goes with a range of nice Japanese beer, Sake, Shochu and wine. With its new opening, there are many promotional offers as well. The latest offer was 30% off from the menu. Here are some photos of the outlet. View more here. Most people may not know the difference as most Japanese dining serve almost the same food. Izakaya dining is in a way not a full Japanese food restaurant and more of a place for small bite and drinks. Hope this article gives you a good insight.